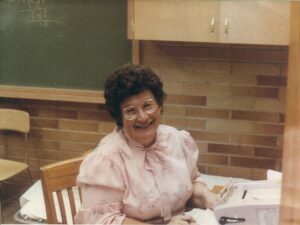 Manuel, one of the early teachers of Mexican descent to teach in the Wenatchee Valley, taught Spanish for nearly 30 years. He was widely respected for his integrity, his work ethic and his passionate commitment to sports in the Wenatchee Valley. 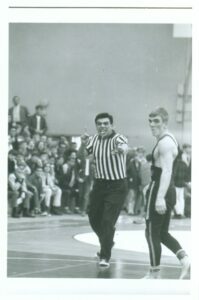 He started the Wenatchee High School wrestling program in 1956. 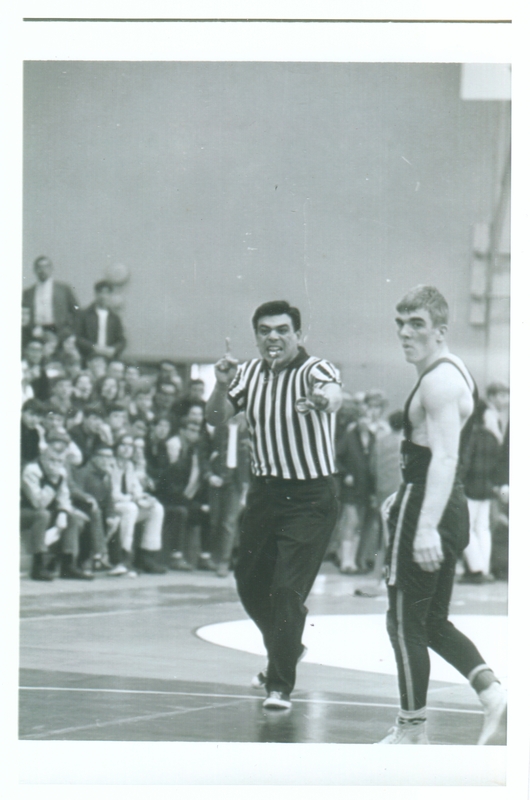 He would go on to achieve prominence as a wrestling official and would travel widely to officiate wrestling matches at high schools throughout North Central Washington. In 2010, Manuel Diaz was inducted into the National High School Wrestling Hall of Fame for his contributions to the sport. In addition to his teaching and wrestling careers, Manuel, who minored in health in college, worked summers at Alcoa as a relief medic. He could get a cinder out of anyone’s eye! The valley was not always a welcoming place for someone of color in those days, Maria Diaz said during our conversation. “Despite all of the respect that my dad had, at times he was overlooked or treated differently because he was a Mexican,” she recalled. 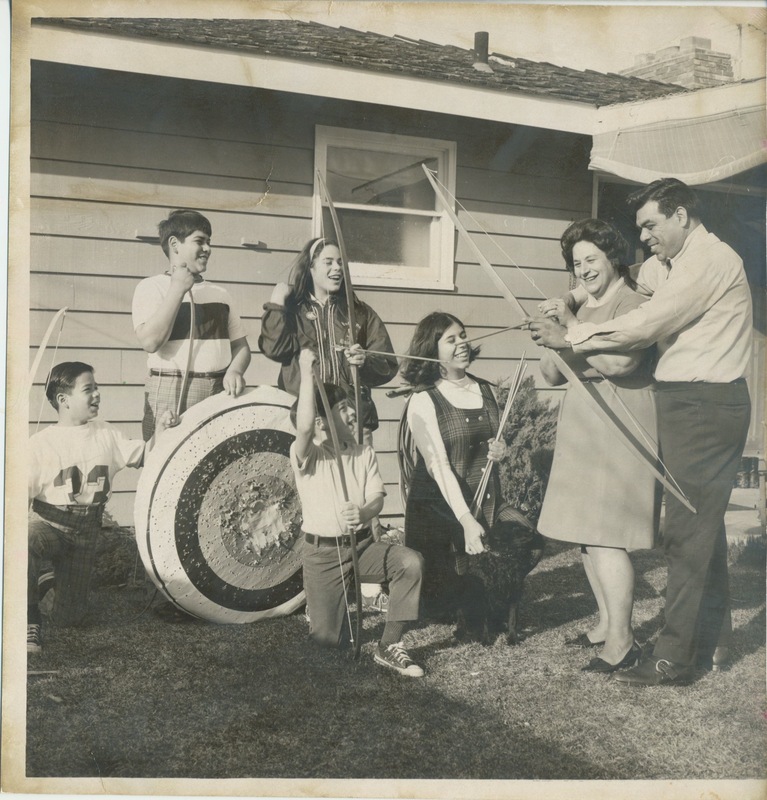 The subtle concerns that were expressed when the Diaz family moved to a home on Madison Street from South Wenatchee quickly dissipated and strong bonds were developed with the families nearby, bonds that still exist today. Maria said that although her father never let the opinions of others get in the way of his achievements, it wasn’t always easy. Manuel Diaz was born in Kansas. He entered the Navy while still in high school. “In the Navy my father got his first experience of being in a situation where he was not treated differently for being Mexican. He felt accepted and valued,” said Maria Diaz. Manuel graduated from Toppenish High School and then got his teaching credential at Central Washington University. Bonny Warfield was born in Seattle, and got her registered nursing degree at the University of Washington and worked as a nurse at Harborview Hospital. 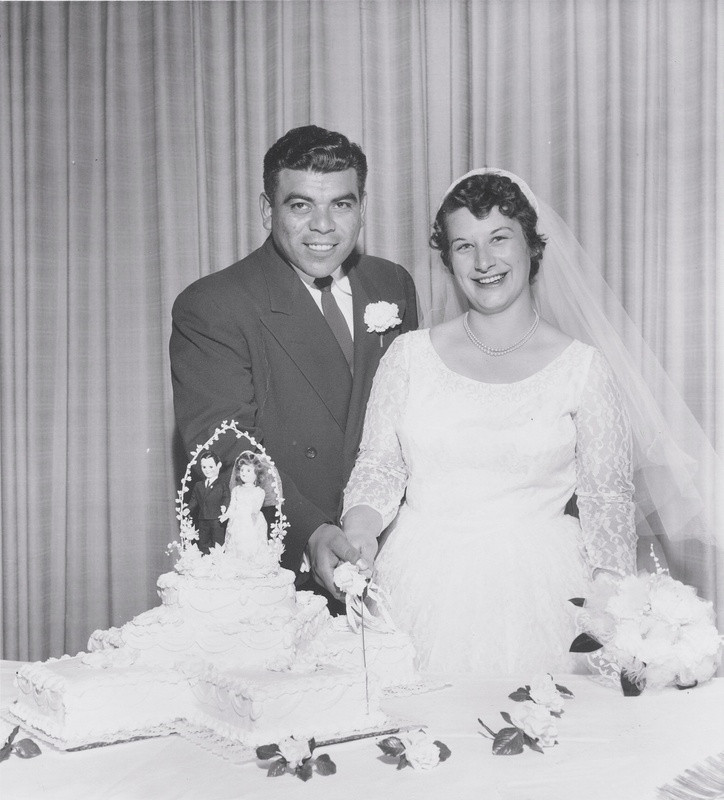 The two met in 1954 at the Apple Blossom Festival and, two years later at Apple Blossom, Manuel proposed to her at Ohme Gardens. 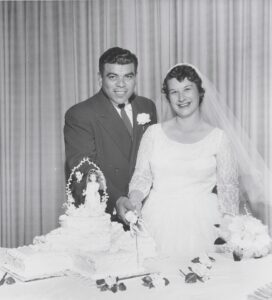 They were married shortly thereafter. After starting and coaching the WHS wrestling team, Manuel decided to switch to officiating when the two started having kids (five in all), Maria recalled. Family was a significant priority to both parents, who had each come from fractured families. Manuel’s parents divorced when he was just a few months old and he never knew his mother. Bonny’s parents also divorced when she was a baby and then her mother died when she was just 14 years old. However, “the two of them came together to create this incredible home for us,” she said. Bonny worked as a nurse at St. Anthony’s Hospital, Deaconess Hospital and as a school nurse in the Wenatchee School District. “The students at Lincoln and Mission View Elementary schools loved mom,” Maria said. Manuel was very proud of his Mexican heritage. Although he was very assimilated in the local culture, he would take every opportunity to speak of his heritage to others. He loved introducing people to good Mexican music and most of his students can still remember their “Spanish” names that he would give them in class. “All five us regret that we do not speak Spanish. I speak more French than Spanish,” Maria admits, noting that her dad is probably rolling over in his grave. Toward the end of his life, diabetes took both of his legs and most of his eyesight. Nevertheless, he did not let this get in the way of accomplishing projects near and dear to his heart. He completed his book chronicling the wrestling program at Wenatchee High School, “The Knights of the Round Circle.” He was in the process of writing another book about Latinos who worked in the salt mines in Lyons, Kansas, when he passed away in 1990. His spirit never weakened and he was always eager to welcome friends and family and entertained them with a good story, Maria told me. The Wenatchee Valley has changed dramatically since Manuel and Bonny Diaz arrived. The Latino culture is flourishing and adding salsa to animate life here. “Dad would have so enjoyed things such as the WHS Mariachi Band and the Mexican groceries where he could get a great tamale!” said Maria.